SEEPEX GmbH is set to be the first to exhibit a smart pump module with integrated driver software at HANNOVER MESSE 2019. The innovation aims to simplify the integration of functions into existing production processes, so that a portion of the processes can be implemented independently. 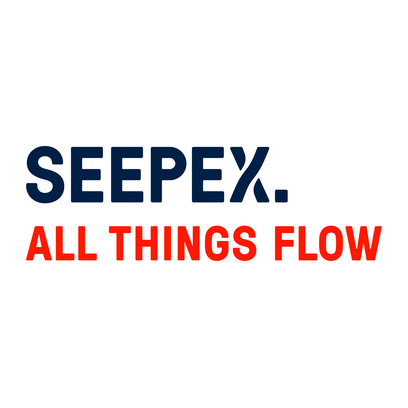 SEEPEX GmbH is one of the world's foremost pump technology specialists and boasts a product range that includes progressive cavity pumps, macerators and control systems. What’s more, SEEPEX also offers innovative solutions for conveying low- to high-viscosity aggressive and abrasive substances. At HANNOVER MESSE 2019, the company is to become the first manufacturer of progressive cavity pumps to present a pump module with driver software designed to make it easy for users to integrate functions into production processes. Working in partnership with the Institute for Automation Engineering at Cologne University of Applied Sciences (TH Köln) and WAGO Kontakttechnik, SEEPEX has created a module type package (MTP) that can be imported into the automation systems of various manufacturers, where it can then control various services such as "metering" and "filling" and provide HMI components. Last year, in recognition of this innovative approach, the SEEPEX Smart Dosing Pump (SDP) module won the Innovation Award in the pumps category at ACHEMA, the world's largest process industry trade fair for chemical technology, process engineering and biotech. The SDP combines a progressive cavity pump with flow, temperature and pressure sensors and integrated control logic to regulate all components. The strategy of linking actuators and sensors with local intelligence is designed to combine field and control levels in one unit. This produces a process engineering module that can be easily integrated into overarching systems via established interfaces and thus independently implement a part of the process.